320W total power (160W subwoofer) Provides high-quality audio for your favorite TV shows, films, games and music. Wireless active subwoofer with a 7" driver Offers powerful bass. 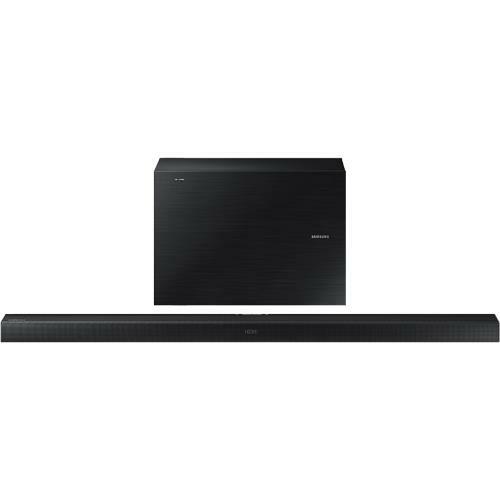 DTS Digital Surround and Dolby Digital 5.1-channel audio For crisp, clear sound. Inputs Include 1 optical digital audio, 1 analog audio, 1 HDMI 1.4 and 1 USB. Outputs Include 1 HDMI 1.4. 3D-video pass-through Provides an enhanced experience. Dual-band 2.4GHz/5.0GHz Wi-Fi Along with an Ethernet LAN facilitates network connection. Bluetooth 3.0 interface Links easily with Bluetooth-enabled devices. Wall-mountable design Allows you to create a setup that suits your preferences.